Of the various roadside bus shelters in Auckland, this style is my favorite (to look at – I am not often using public transport). 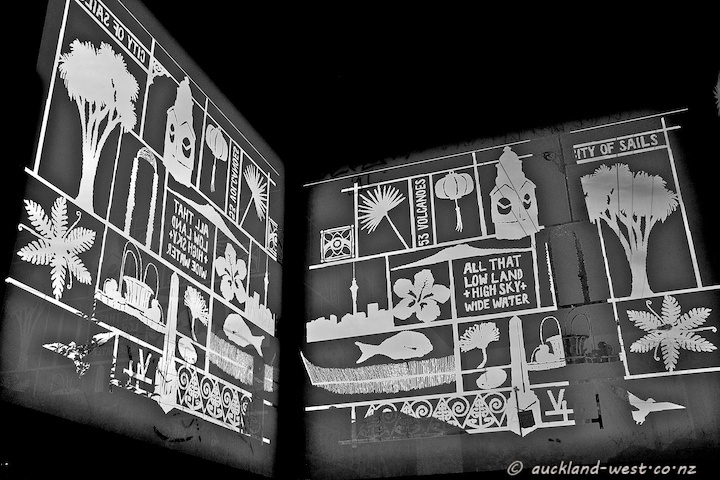 Etched in the glass are many items of local significance: Sky Tower, Town Hall, Mission Bay Fountain, cabbage trees, Chinese lanterns, ferns, the One Tree Hill obelisk, Maori patterns, and the words “All that low land + high sky + wide water”, with 53 volcanoes also getting a mention. The example in the picture above has fallen victim to the road upgrade in Wolverton Road, whilst the one below, not far away in Tiverton Road, is still standing, illuminated here by bright morning sun. 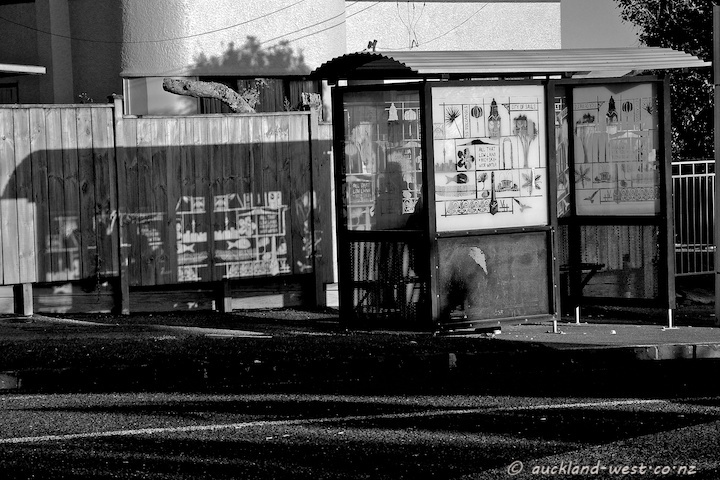 One can find these shelters in various places throughout Auckland – although my suspicion is that if they are vandalised, they might be replaced by less elaborate styles.